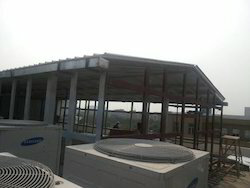 Our product range includes a wide range of prefabricated buildings, prefab multistory building, prefab building, prefab steel building, pre engineered building and prefab health center building. 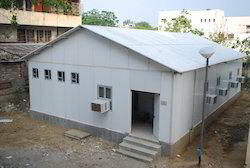 We are manufacturers in offering Prefabricated Buildings. Our range is known for its high premium quality and excellent results. Our range is designed using advanced techniques and latest machinery and is very popular among our clients for a greater finish, quality and longer service life. These Prefab Multistory Building are best suited for living accommodations, office block or storage purposes where land availability is limited. We provide a customized solution for the very requirement to fulfill the need of the customer to the utmost possible level. A quick multi-story structure with thermal and acoustic insulation, with the possibility of re-location coming at an economical cost, is the perfect solution for the requirement of Mass accommodations, Group Housing, Worker accommodation, Office building etc. Custom Built & Pre-engineered construction with PUF/EPS Insulated Panels/Light Gauge Steel Framing (LGSF) Structures. Options available with various finishes like PPGS / PPGS, Cement boards, Aluminium Composite panels etc. Lightweight panels which are easy to lift and erect at any height on the roof too for extension purpose. Fixing of smoke detectors, firefighting equipment, AC’s is easily possible for safety and better facilities. 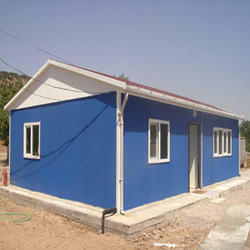 We are one of the leading manufacturers & suppliers of Prefab Building. Prefab Steel Building offered can be made available by us in different finish configurations so as to perfectly match up with the specific end usage demands of the customers. Pre Engineered Building offered comprise quality finished steel building structures that are made available in a superior quality fabricated finish so as to provide for lasting performance usage. 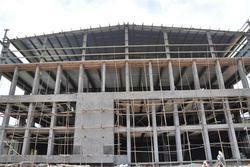 These prefabricated building structures are suitable for use as warehouses, offices, shopping malls and other uses. 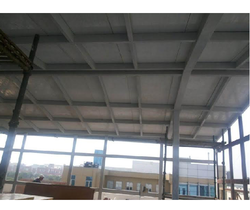 Some of its features include Can be offered in options of single long span building or in form of high-rise building; use of superior grade steel for stronger resistance to an earthquake and horizontal load ability; providing for superior wind resistance. E-Pack offers a wide range of modular Prefab Health Center Building with PUF insulated panels/EPS insulated panels. Our Prefab Health Center Building can be designed to complement existing facilities or provide a modern appearance. We offer the solutions for modular Prefab Health Center Building with the structure for hospitals and without structure for small prefab clinics.There is no compromise on specification either: the flexibility, the load-bearing capacity of the prefab school building, quality of panels etc. we offer the complete turnkey solutions for prefab health center’s under one roof starting from designing, fabrication, production and till installation. While designing the prefab health center’s we consider factors like natural daylight, proper ventilation for fresh air for patients. Moreover, these prefab health centers are constructed with insulated panels so these prefab schools are best suited to hot regions as well as cold regions too. At the time of natural disasters, these prefab health centers are constructed in half of the time or less as compared to the permanent construction.